Eric Hall here, you may remember me from such word-hack outlets as anotherindycarblog and Podium Magazine. After the tragic passing of Mr. Kevin Neely, I have been tapped to continue his fantastic work here at OpenPaddock.net. There is no way I, nor anyone, will be able to fill Mr. Neely’s shoes, but I do promise to keep spreading the love of IndyCar to the best of my ability. 2013 was another historic year for IndyCar, with the highest of highs and nearly the lowest of lows experienced at different times throughout the season. We saw another championship come right down to the wire with Helio Castroneves again failing to cement himself into the pantheon of open-wheel greats by missing another championship title. The year also brought us four first-time winners in, Kimball, Sato, Pagenaud, and Hinchcliffe, with the latter two drivers making multiple visits to victory lane. Scott Dixon’s championship winning season and Helio Castroneves’ near miss also highlights the slow but gradual changing of the guard at the top over the past decade. Penske last stood atop the year end standings in 2006 eight years ago, a lifetime for Team Penske. Although Andretti Autosport is slowly on its way to former glory, it’s Ganassi Racing that has solidified itself as the team to beat. Not only did Dixon absolutely steal the championship, but Kimball also showed us he has what it takes to compete at the top. Even though Will Power looked like the man to beat for three years running and Andretti clinched in 2012, the IndyCar championship runs through the Ganassi garage. For a man as successful as Mr. Penske, his team has a steep mountain to climb with a path littered by small but powerful teams and the gate at the top guarded by Ganassi and Andretti. Speaking of the little teams that could, on a race by race basis, the top step of the podium was up for grabs between at least 15 drivers during any given round of the championship trail. AJ Foyt Enterprises, KV Racing, Dale Coyne Racing and Schmidt Peterson Motorsports can all claim the title of “Giant killer” in 2013 by fighting off the monsters of Andretti, Penske, and Ganassi to the top of the podium. However, as good as these small teams were, there were a few that were out to lunch for most of the season. Barracuda racing has been searching for it since the miraculous 2011 500 win. Sarah Fisher Hartman is still building but couldn’t seem to put it all together for longer than a single race, and Dragon Racing was… well… Dragon Racing. The team was only bolstered by the pure talent that was Sebastien Bourdais , the rest of the team looked totally and utterly lost all year. We also saw the tragic end to Dario Franchitti’s illustrious career after his tremendous aerial impact with the Houston catch fence. But as a testament to the technical superiority of the unloved DW12, Franchitti was able to tender his resignation in person and hear the high esteem and celebration that has filled his 20+ year journey to the top of the sport. Thank you, Dario. The leadership structure of INDYCAR was crafted into a slightly more efficient operation when Mark Miles started to coalesce the INDYCAR and IMS corporate offices under the Hulman Racing banner in a bid to create more power and efficiency within both. INDYCAR also saw the hiring of Jay Frye as the Chief Revenue Officer and CJ O’Donnell as the Chief Marketing Officer. The front office is starting to resemble an actual corporate entity instead of a mom and pop store, a sign for the hopefuls that better times are on the horizon. We actually have a businessman at the head of our business with the right technical and marketing people in the right place. I am nothing but bullish about the near future of our series. Goodbye 2013, you were a great year and a fantastic contest. For the first time in a very long time, I was not embarrassed by the series at any point last year. Of course there were some questionable moments and decisions, but IndyCar racing just felt better in 2013. And it has provided a good base to build on in 2014 and beyond. Viewership was down, but strength and competency was up and for INDYCAR, which is a huge gain in the fight to make the future a bright and secure place. The Missed Shift – Get It In Gear, Already! 2016 Indy 500 Preview – Live from Indianapolis! May 28, 2016 Mike Shaw Comments Off on 2016 Indy 500 Preview – Live from Indianapolis! I was happy to see Pagenaud and Hinchcliffe take wins and for Kimball to win while Rahal didn’t. 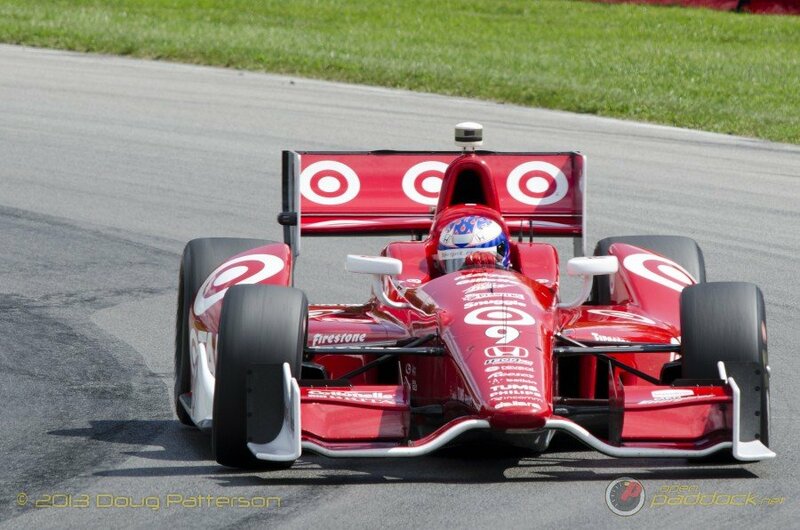 I was glad to see Dixon earn another championship while Power and Castroneves failed again. I wish that the 2013 season wasn’t so short, that the off-season weren’t so long, and that the 2014 IndyCar season wouldn’t be so brief.